As part of various IT initiatives taken up by the University of Kashmir under e-governance project, Vice Chancellor KU Prof Talat Ahmad today formally released the link for downloading the provisional e- qualification certificates for the candidates who successfully qualified the J&K State Eligibility Test (SET) 2013 held on August 18, 2013 -the results of which were declared recently in the month of December. 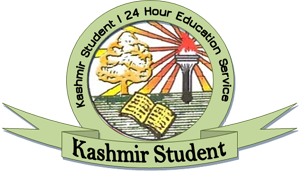 According to the officials of the University of Kashmir which was appointed as nodal agency for conducting SET 2013 the e-delivery certificate mechanism shall help more than 1257 candidates who successfully qualified the SET examination to download these provisional qualification certificates which they can then produce in various screening tests/interviews while applying for teaching positions advertised by Public Service Commission and other Universities and Colleges of the state till their original certificates are processed/issued . 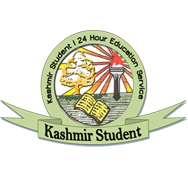 While releasing the link on KU`s official website today VC KU Prof Talat said that it is for the first time in the history of J&K that University of Kashmir was appointed as nodal agency to conduct the SET examination and it was also for the first time that every step from submission of forms to declaration and availability of results was done on-line. Some of the important online tasks successfully accomplished by the Directorate of IT & SS KU which was providing the technical support for the overall conduct of exams included online acceptance of forms, automated Roll Number- generation & allocation, Centre Notice -generation & allocation scanning, error detection, error correction & compilation of results, online result availability and e-Certificate Delivery. While presenting some statistics the officials of IT&SS said that online details reflect that 28,656 forms were submitted online by candidates out of which 23608 were accepted online and for an equal number of candidates roll number generation and allocation was done online and again for the same number of candidates online centre notices were generated and allocated. The officials added that after scanning, error detection, error correction & compilation of results online result was available for 19954 candidates out of which 1257 candidates successfully qualified the examination. For downloading these certificates the candidates after clicking on the link available on the University website need to enter their D.O.B details and name after which a provisional e- certificate will be generated. Dean Academic Affairs KU Prof AM Shah, Registrar KU Prof Zaffar A. Reishi, Director IT&SS Prof SMK Qadri, Director DIQA Prof Fayaz Ahmad, Information Technologist KU Maroof Qadri and other officials of varsity were also present in the meeting.